Agricultural Management for Climate Change includes work from various international institutions that consider agricultural management to address climatic changes and extremes. Our team of editors and authors hope to add a valuable contribution to address global climate change in relation to agricultural ecosystems in vulnerable locations. For this book and its contents, the intended audience includes the international climate change community: contributors to the UNFCCC-IPCC process, policymakers, consultants, project developers, researchers and their institutions. Agricultural Management for Climate Change aims to be a valuable addition to multidisciplinary and international cooperation efforts (policies, cultural practices, new technologies, and adaptation measures), to development and selection appropriate GHG mitigation measures, governmental and nongovernmental agencies worldwide as well as the general public. 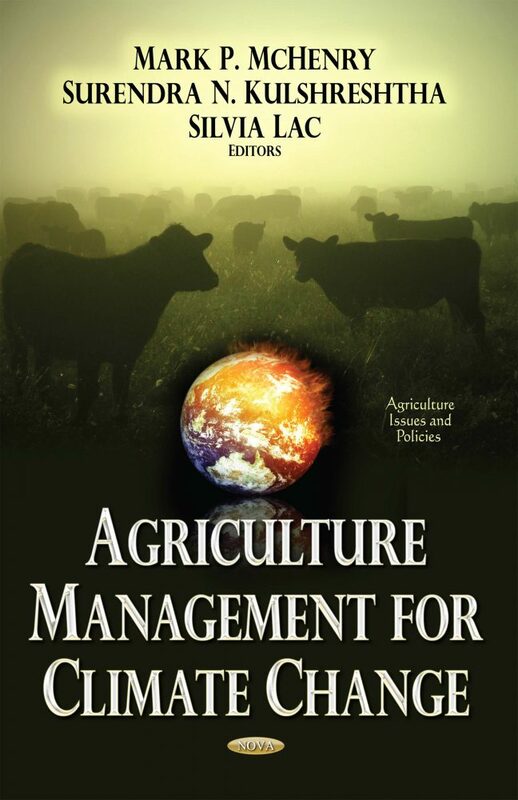 The editors of Agricultural Management for Climate Change believe the book is an effective tool to help the international community progress in understanding management of agriculture’s role in GHG mitigation and also agricultural adaptation options. They aim to address climate change through international collaboration and cooperation.